Proper measurements for your custom driveshaft. Whether you are ordering a custom driveshaft for your project or double checking your’s cars measurement when ordering a GForce driveshaft, proper measurement is critical to ensure you receive the ideal driveshaft length for your application and the lowest risk problems down the line. Measuring, in most cases is extremely simple. Below are a couple quick tips and diagrams to help make sure your measurements are as accurate as possible. If you are looking for a driveshaft with a transmission slip-yoke, make sure to indicate what transmission you have. Measurement is taken from trans seal on the tailshaft of the transmission to either the face of the diff yoke (which is u-joint centerline) or the face of the diff flange (if your differential is so equipped). Measurement “X” on the diagram shown below. Note: If you have a GM 4L80 transmission, we will need to know if your transmission output shaft is threaded or non-threaded. 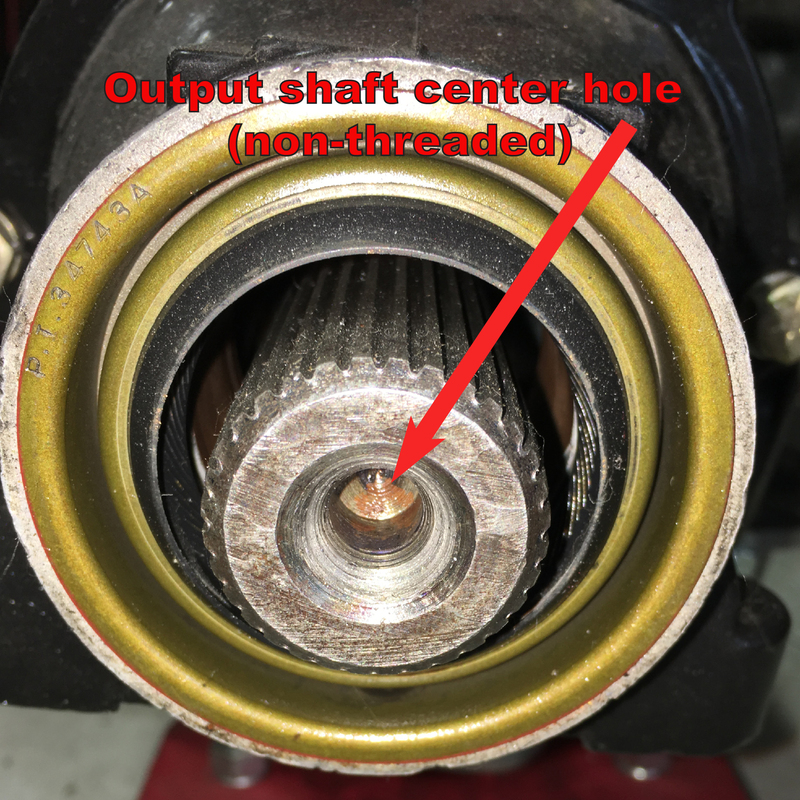 This can be determined by looking at the inside of the center hole on the back on the output shaft. Some are threaded and others or not. This will determine which slip-yoke we include with your shaft. Most GForce Engineering driveshafts listed on our website are direct replacement upgrades for OE driveshafts. In many late model cars, both the transmission and differential use output flanges instead of a slip yoke on the trans and open u-joint on the diff yoke. In this case, measurements is simply taken from inner face of the flange to inner face of the flange. Measuring for a GForce 9″ Kits driveshaft can be a combination of the above two scenarios. Depending on whether your transmission requires a slip yoke or is equipped with an output flange. Measurement is taken from one of these locations to the face of the yoke on the diff. The face of the yoke is also referred to as u-joint centerline, in this case. 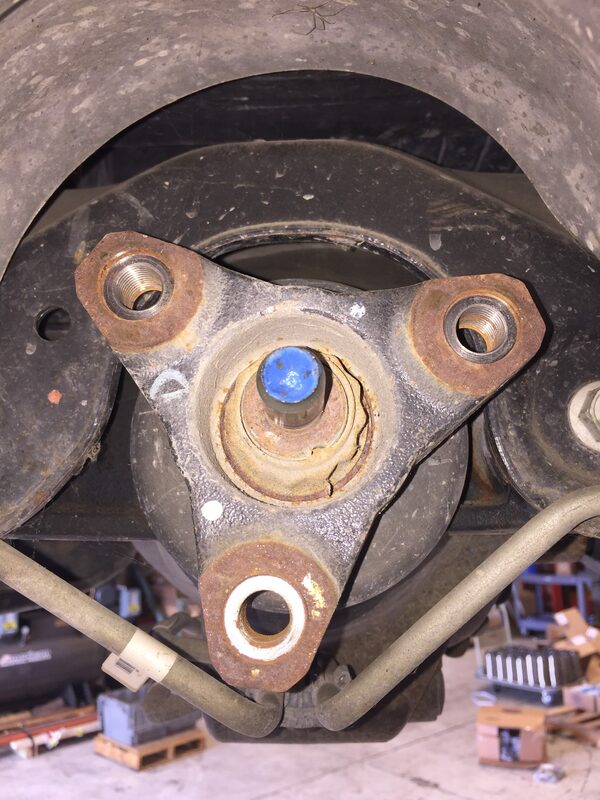 If ordering a custom driveshaft, its is important to know what u-joint you need for your differential. All GForce 9″ Kist require the common 1350 U-Joint. Other commonly used sizes are 1330 and 1310.